Pure Agency has been appointed by Companion Stairlifts, one of the UK’s largest stairlift suppliers, to launch an incentive scheme to drive customers to the brand via local mobility shops. 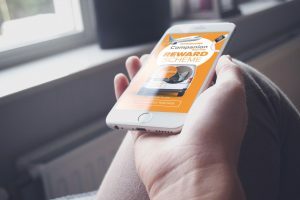 The Leeds agency has developed the incentive-led campaign to help encourage mobility retailers across the country to send their enquiries regarding stair mobility and bathing products to Companion. Pure has developed a series of teaser adverts within Companion Stairlifts’ target media ahead of launching in June. This will then be supported by a combination of email marketing, animated videos and POS all designed, developed and managed by Pure. Established in 1998, Pure is a full service agency based in a 5,000 sq ft studio in Leeds, and also works with Joseph Turner, Knightsbridge Furniture, Silver Cross, Mintex, Harrison Spinks, Lindam and Lansinoh.